Lasers have transformed medical surgery by offering minimally invasive alternatives to traditional scalpel incisions and sutured closures. The laser's intense, narrow wavelength has precise, predictable, and powerful reactions when it contacts soft tissues of the body. Laser light is extremely efficient, producing very little heat as it acts on its target. This makes it ideal for oral surgery, since it seldom affects tissues other than those it targets. 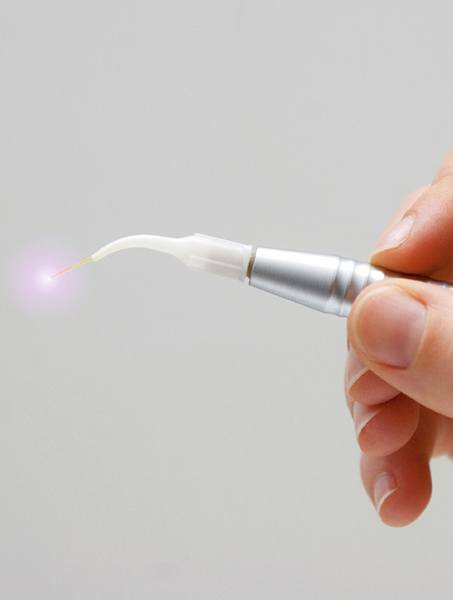 The laser provides precise control over the depth and extent of cutting while simultaneously minimizing bleeding and sterilizing the treatment area. Currently, dental applications include gum disease treatments, gum recontouring, incision cauterizing and tissue fusion, lesion reparation, and biopsies.